Your wedding day transportation is more than just a way to get from point A to point B. It’s an opportunity to make a statement. When it’s time to decide on your wedding transportation, call Colonial Transportation. We have the perfect wedding transportation to enhance your special day. and will be there every step of the way. Not only can our shuttles be in charge of taking the bridesmaids and Bride, as well as the groomsmen and Groom to the wedding venues, they can also provide transportation service for the photos beforehand. The shuttle will transport guests from the hotel to the venue, and shuttle as needed until the event ends. 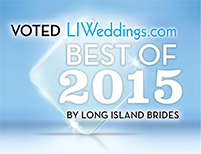 We offer the best Long Island wedding transportation and New York wedding transportation. Trust Colonial Transportation to help make your memorable day run smoothly.